You’ve probably heard of the news about the blackest black paint and the pinkest pink and the petty war between Semple and Kapoor. Well, as it turns out, humanity really just has this obsession with pure colors. 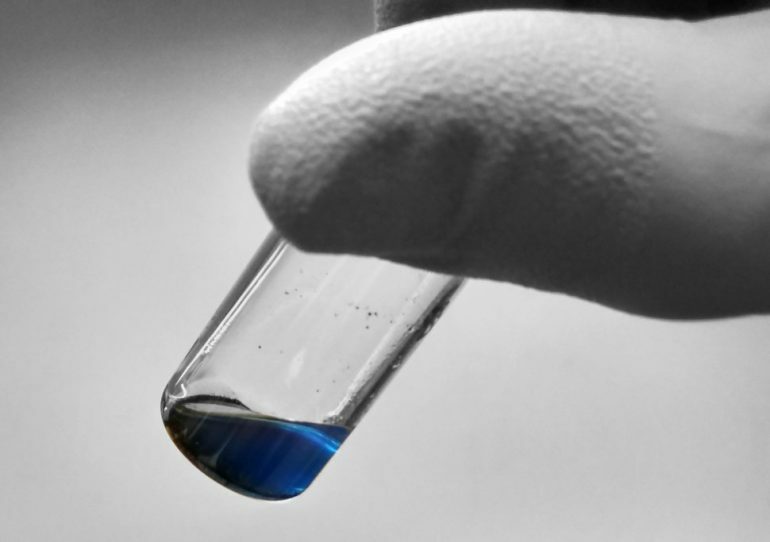 In Berkeley, California, for example, scientists are hard at work trying to create the perfect, purest blue pigment ever. According to the HuffingtonPost article, Olga Alexopoulou is a painter who is very familiar with man’s history with the color blue. Blue colours in nature rarely exist, such as the Lapiz Lazuli, which can mainly be found in the quarries of Afghanistan until it was also discovered in Chile, Russia, the USA, India, Canada, Pakistan, Italy, Angola, Burma, and Argentina. The pigment made from this semi-precious stone is the most expensive pigment during the Renaissance and is so prized that it’s often reserved for religious work. Eventually, humanity learned to create artificial blues using different methods. The Egyptians mixed limestone, sand, and azurite to create what is known as Egyptian Blue. Prussian Blue was created due to an accident. The Great Wave off Kanagawa was painted using Prussian Blue. And over the years, a lot of other shades of blue came to be. The new addition to this is Alexopoulou’s Quantum Blue, which was a project of hers for more than 10 months. Her life pursuit of blue shades led her to a dinner party where she heard of quantum dots, small crystals that emits color with high intensity. She suddenly had an amazing idea: what if she could use this nanotechnology to create the finest blue in existence. A new, intense blue shade. This isn’t the first time nanotechnology is used to create a new colour: Vantablack is created using carbon nanotube arrays that absorbs light particles into the tubes, constantly being deflected farther into the tube until it is released as heat. 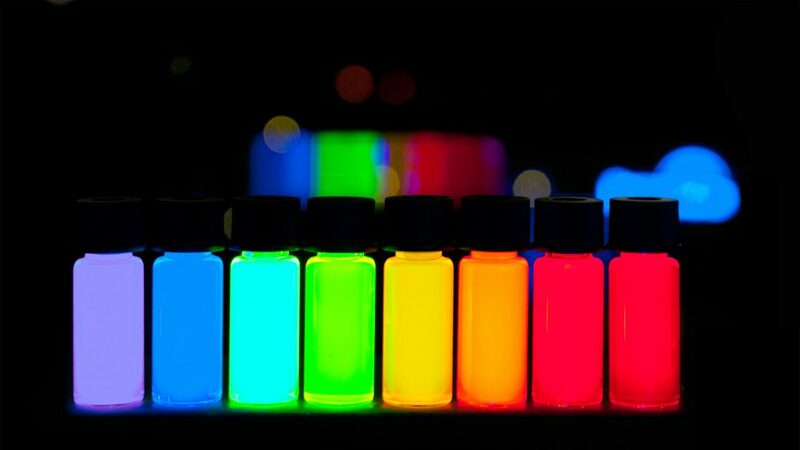 Quantum dots are a different story: They are small particles of semiconducting materials which are 10,000 times smaller than the thickness of the human hair, and because of this, they can convert light into colors with high intensity. They have been used in Samsung’s new quantum dot TVs and for medical purposes. And so, Alexopoulou, after that dinner-party, went to work to try out of she can possibly create a new blue hue. She contacted Paul Alivisatos of UC Berkeley to explain her ideas about using Quantum dots to create a new blue hue paint. Paul is a professor of nanoscience and nanotechnology and agreed to help her. For ten months they worked on everything, the hue and the binder to bind the nanocrystals together in such a way that it won’t affect the crystal’s hue. They have not yet released the formula for this binding agent. The next step after creating the paint is, of course, using it. Alexopoulou soon created her first painting with the new paint, which will be on display at the UltraSuperNew Gallery in Tokyo next year. She’s also patenting the new paint. After that, who knows? Alexopoulou may try to sell the manufacturing rights of the paint, but there’s one small problem. According to the article, Quantum Blue needs UV light to activate, meaning that the paint must be seen in the dark for it to show the blue hue. It’s not a conventional paint and something like this could maybe only see commercial use in dark places, like mines. As an art project, it could be fun. Maybe someday, we’ll be able to see the new hue even under normal light. For now, Alexopoulou joins artists like, Semple and Kapoor, who have revived the old science of looking for new colours, first started by their predecessors, hundreds of years ago.